HomeHow To GuidesTip of the Week – Make a plan! It was a hot, dry Saturday in August of 2015 when a light went off. I was in middle Georgia attending the annual Traditional Bowhunters of Georgia Banquet and after our general business meeting and some grub Jerry Russell, of Russell Outdoor Guides was about to give a short presentation. While I was looking forward to hearing what Jerry had to say, I really was not expecting it to have a major impact on my hunting season in 2016. Jerry’s message was simple. Stop procrastinating and make a plan. Whether you dream of taking an eight point whitetail deer or a Cape Buffalo in Africa. Without a plan it will likely never happen. As I listened to what Jerry had to say I started thinking about a dream I had as a teen, to hunt the North American Pronghorn Antelope. Back in those days that is all it was, a dream. At the time I did not have the means to pursue that dream but as I sat and listened to Jerry I realized the means had been in reach for a couple decades. Why had I not made it happen? The longer I listened the more I realized Jerry was right, it was because I had never made a plan, I had never said “This is the year I make it happen!”. So by the time Jerry finished the seed was planted and I almost immediately started “the plan”. My first step was to seek out a hunting partner to go on an adventure with me. Within a month the foundation was laid and that December Thom Jorgensen and I put the finishing touches on the plan. That antelope hunt was just one result that was produced by my new attitude. 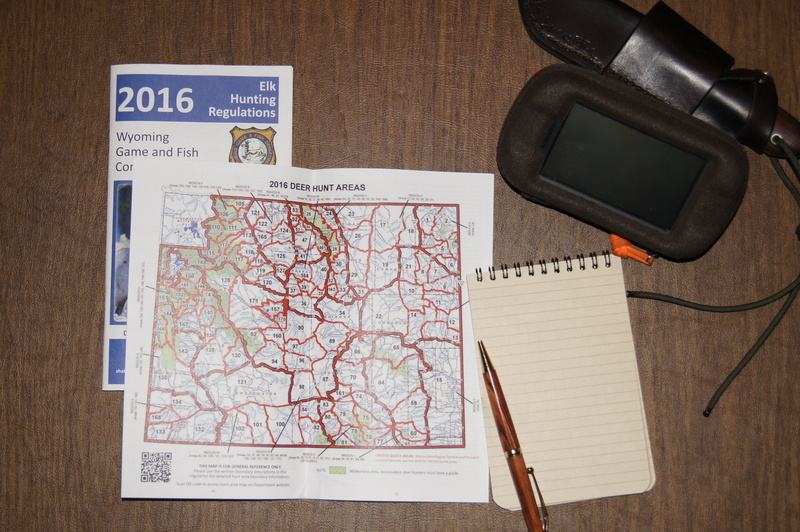 I also began immediately putting together plans for the fall deer season, public land and private as well as for hunting hogs. I put in a lot of hours scouting, I put together plans for days of vacation and even for where I planned to hunt during specific parts of the season. The planning paid off. I ended 2016 with possibly one of my most successful seasons of my 34 years of hunting. Most definitely my most successful as a traditional only bowhunter. So this week’s tip of the week – Make a plan! Regardless of what dream hunt you want, regardless of where it is, how far away or how distant you think the realization of that dream may be….make a plan. Because I can promise you without a plan you will most likely realize, possibly 30 years or more from now, that you have not yet realized that dream. Stop procrastinating! It does not matter if your plan is to pursue your dream this fall or ten years from now, make the plan and work the plan. That lesson back in 2015 was probably one of the best I have ever learned. Even though I new the secret I had never even thought to apply it to my dream hunt. Thank you Jerry, very well done. As it happens Thom and I am planning another hunt for Mule deer in 2018 that started before we ever left antelope camp in Wyoming……I like the planning stuff!